Legend has it that in order to lighten husbands’ baggage when they headed for the examination in Hue, their wives thought of the way to make cereal flour, which we ate with sugar. 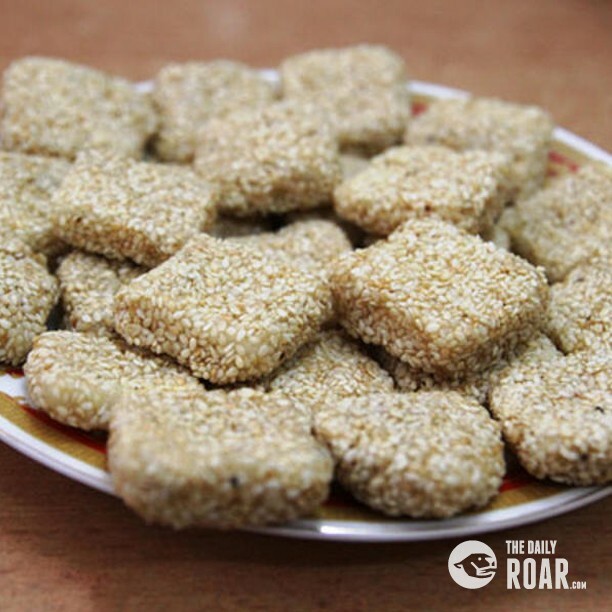 At that time, at Hoa Quy village ( Da Nang), there was a woman whose initiative was to turn this flour into a kind of biscuit mixed with sesame as a type of dry provisions for her husband on his way taking part in the examination. When graduated with high mark, becoming the county chief, he honoured his wife by feasting his guests with this biscuit. Before being called sesame biscuit as it is today, the common people used to call it “ seven-fire” biscuit. It meant that this biscuit had to experience a fire seven times to become an end-product. Sesame biscuit today is made of rice and white sticky rice. After the process of soaking, grinding sticky rice, rubbing into a mold and steaming, we have to bake it three times and then dip it into syrup and ginger. The last process is to cover it with sesame. 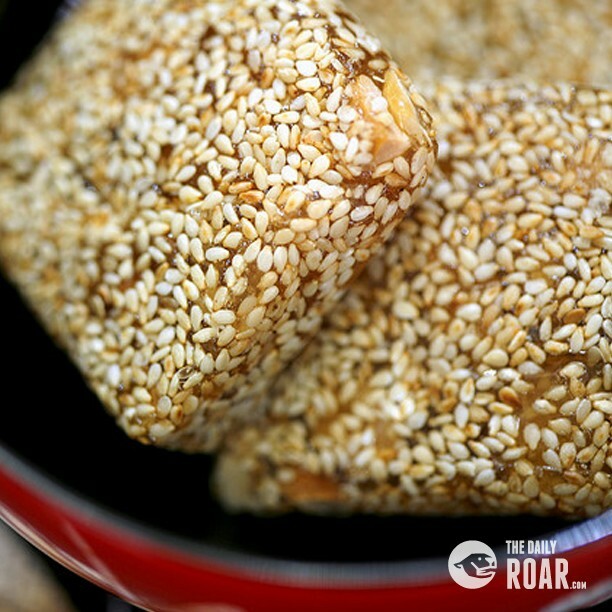 Sesame biscuit has a flavour of sweet, crispy bite just as girls’ laughter. The more delicious the biscuit is, the more glutinous and glitter sugar thread is. This biscuit especially needs sheltering from the wind; if not preserved carefully, it would immediately become soft and wet.